Celebrity hairstylist James Brown is most recognised for his Vogue collaboration with Kate Moss which popelled him into the spotlight in the early 90s. Almost two decades later, he launched a hair care range using his name on the bottles and the face of Kate Moss for the brand. He entrusted Made Thought with the packaging to create a design that would stand out in an already over saturated beauty and hair care product market. With additional guidance from Progress on the print and structural design aspects of the ‘Regime’ brand, we produced these 500 micron frosted polypropylene cartons to house bottles of shampoo and conditioner. 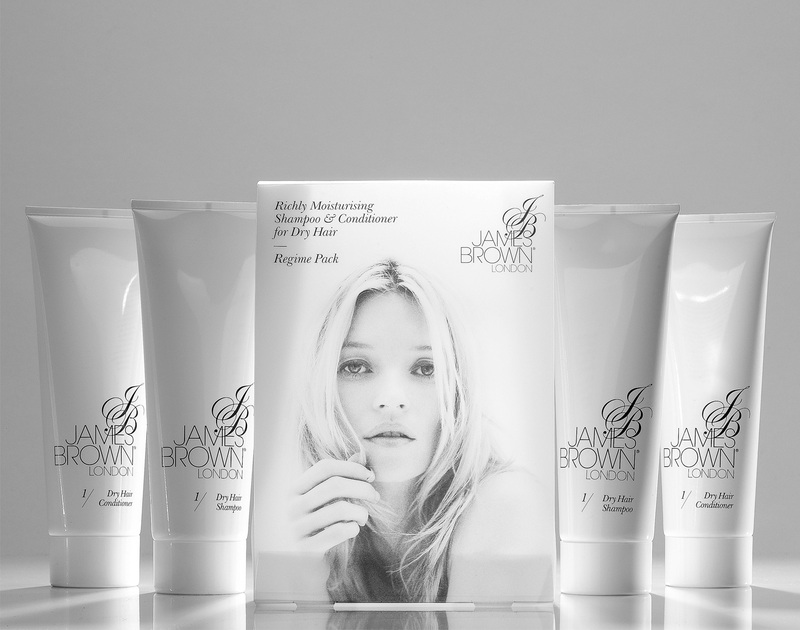 To acheive the stand out required on the print, the polypropylene carton was flood printed white before being litho printed in black with the image of Kate Moss’ face – a process that we trialled extensively to achieve the best effect.